How does instructional coaching work in a virtual world? 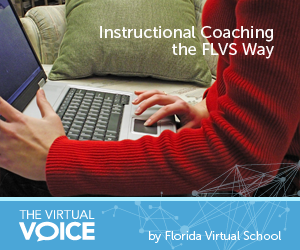 Have you heard about the Vir-structional coaching program at FLVS? The Vir-structional program is designed to help those using a virtual platform to train, teach, and inform participants. The goal of the Coaching Program is to deliver high quality technology-based education by increasing customer/student learning through engaging and interactive live lessons. Instructional coaching provides a venue for instructors to share teaching ideas and strategies with each other. The coach is someone who has expertise and knowledge in developing highly effective and engaging lessons that will lead to increased participant learning. The coachee is someone who would benefit from a coaching relationship by being open and receptive to learning new tools, techniques, and strategies to increase participants’ attendance and understanding. In order for the program to be effective, it is crucial that the coach and coachee establish and maintain an environment of mutual respect and trust. Therefore, all critiques given on the observation forms are done in a constructive manner. The raw data gathered through observations and recorded on the observation form are kept confidential. Through nine Vir-structional coaching sessions, the coach and the coachee develop a trusting relationship and work together to identify strategies that will increase customer/student learning and achievement. There are three levels of advancement (Foundational, Proficient, and Excellence).The objective is to advance the coachee at least one level during the nine-session cycle. For example, a coachee who starts at the Foundational level would aspire to move to the Proficiency level. 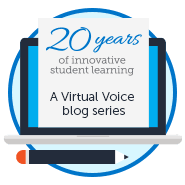 The nine virtual sessions can take place in any online collaborative platform, e.g., Blackboard Collaborate, Adobe Connect, GoToMeeting, GoToWebinar, Lync, and Webex. At the end of the first session, the coachee is asked to send the coach a recent recording of one of his or her live lessons. If he or she doesn’t have one, the coach would attend a live session. Next, the coach fills out an initial observation form and, through a collaborative discussion, helps the coachee determine an initial level of achievement. In addition, the coachees take an online collaborative pretest. This helps the coach identify areas for improvement and learning opportunities. The coach and coachee then spend time over the next seven to eight sessions focusing on selected areas based on mutual agreement. As a final step in the process, the coachee retakes the test to demonstrate improved knowledge and ability to deliver high quality and engaging lessons. What types of instructional coaching are you most familiar with? Educators, do you conduct virtual coaching? 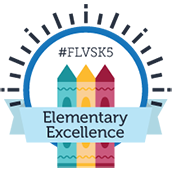 This entry was posted in Educator Edition and tagged 21st Century Education, Coaching, Collaboration, Goals, Insight, Instructional Approach, Online instruction, Professional Learning, Student Success, Teaching Job, Teaching Online on April 1, 2014 by Mary Mitchell.